Published on Tuesday, March 9, 2010. This article appears in the April/May 2010 issue of American Craft Magazine. Brigitte Martin, owner, Luke & Eloy Gallery. Photo David Albrecht. From the time she was very young, Brigitte Martin, a jeweler and the owner of Luke & Eloy Gallery in Pittsburgh, has been surrounded by art. While growing up in Cologne, West Germany, she traveled with her parents throughout Europe, where they spent hours visiting museums and castles. It was this love of art combined with a fascination for how pieces are formed that led to Martin's subsequent apprenticeship with a German master goldsmith. In September 2008 Martin, who moved to the U.S. with her American husband in 1994, opened Luke & Eloy (named for the patron saint of fine artists and the patron saint of metalsmiths, respectively), which displays not just jewelry, but other media as well, including ceramics, fiber, wood and photography. Why did you open a gallery? Being a jewelry maker myself, I enjoy interacting with artists, their creations, and customers who appreciate them. It’s wonderful to see a customer find the perfect piece. My goal is to make craft accessible. By showing interesting work in an unintimidating environment, I'm able to foster appreciation of jewelry as an art form that is meant to be experienced. 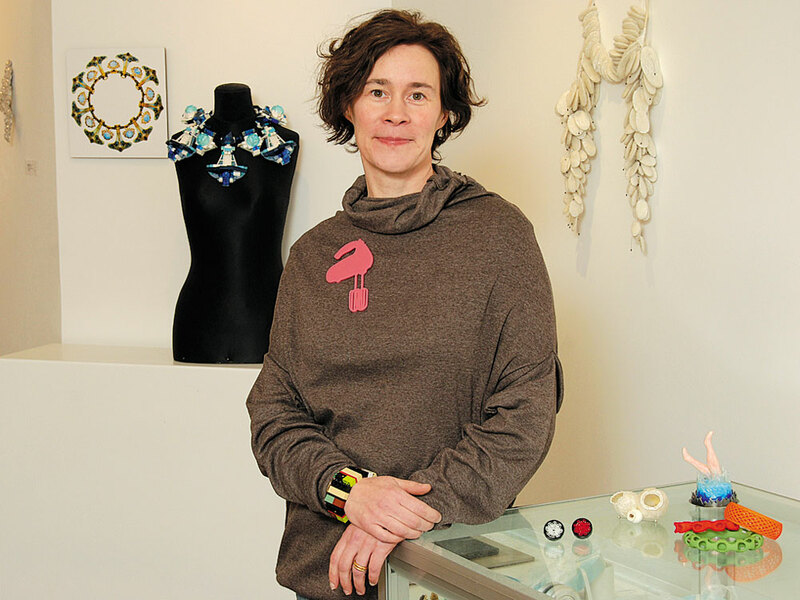 What challenges do you encounter being both a gallery owner and a jewelry artist? It is sometimes hard to balance the two—they often seem to be at opposite ends of the creative spectrum. With the gallery I focus on others’ needs first before I allow myself to sit down and do my own thing in the studio. On the plus side, I get a lot of direct feedback from customers and artists. That is very valuable and certainly beats sitting by myself in my studio all day. How would you describe the arts scene in Pittsburgh? Given Pittsburgh's relatively small size and industrial background, out-of-towners are always astounded to encounter a thoroughly modern city with an incredibly vibrant and diverse art and craft scene. Many visitors to Luke & Eloy have commented that they are absolutely blown away by the many cultural offerings and the quality of the various shows and institutions we have. What is some of the new and exciting work you're seeing? I'm a big fan of students’ and recent graduates’ work and the fresh approaches they take. I’m particularly fond of work that incorporates unexpected media combinations or that surprises me with ingenious ideas and technical finesse. Vincent Pontillo, Loring Taoka and Anthony Tammaro are among my favorite artists right now, but I also love what comes from Europe. I am proud to be the first U.S. gallery showing English artist Charlotte Daffern’s “Acid Housewife Collection” this coming fall. Do you wear much jewelry? 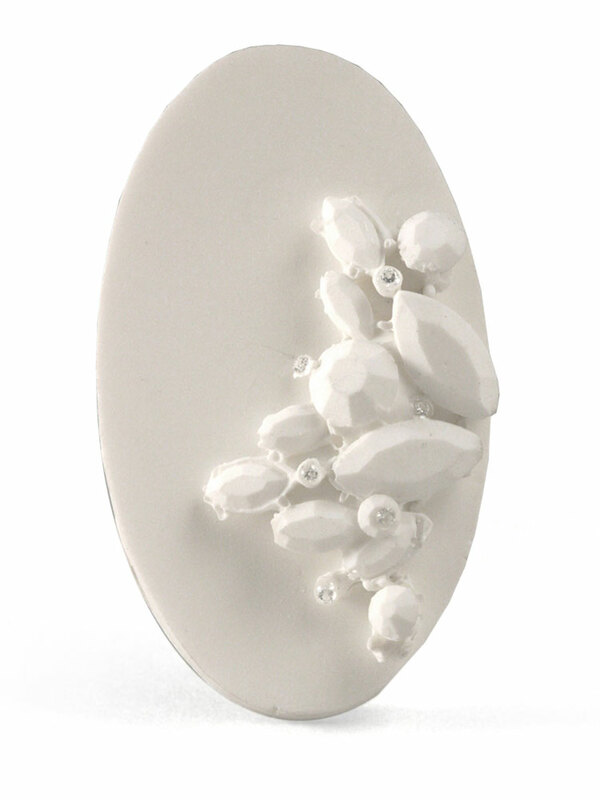 I wear pieces that have a humorous component, incorporate unusual materials or have a message imbedded. My favorites right now are made from plastic: one is a pink cake-mixer brooch laser-cut from Plexiglas by Arthur Hash; the other is a Lego bracelet by emiko oye. I’ve gotten a lot of mileage out of these works. Interesting jewelry makes for great dinner conversation. Margaux Lange SMACK! 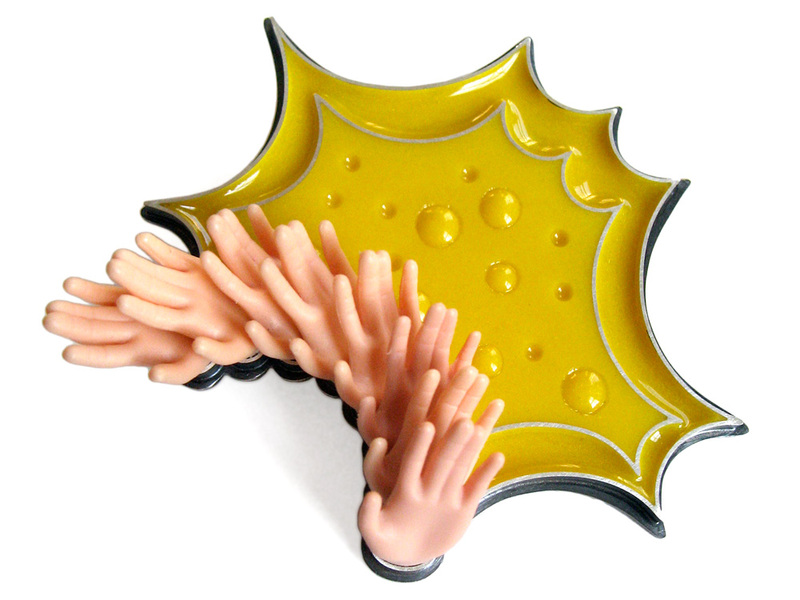 Brooch, 2009, sterling silver, pigmented resin, plastic Barbie doll parts. 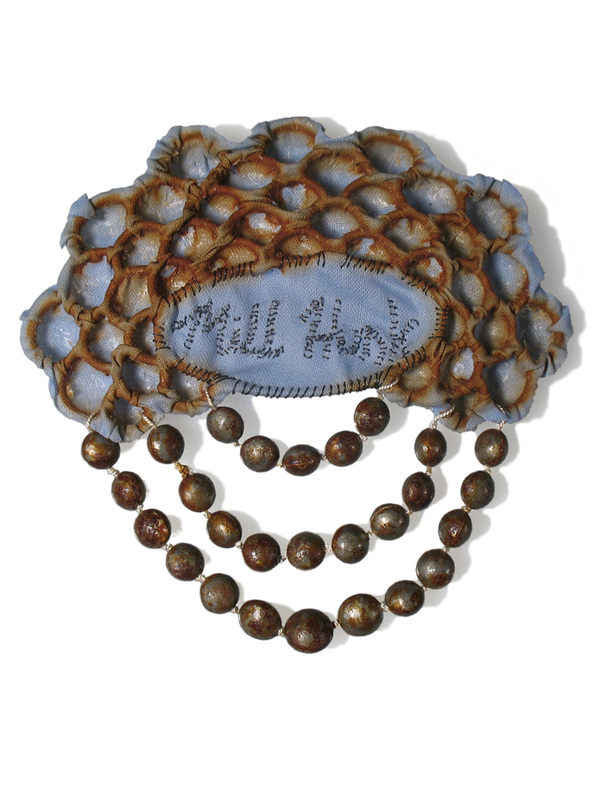 Sharon Massey Mill Hunk Badge, 2008, iron wire, cotton muslin, steel, rust. Kate Cusak transforms everyday objects into elegant works of art. The anti-stuffy Mariposa Gallery has showcased fine craft by southwestern makers since 1974.